It's all in the name of safety, Microsoft says. 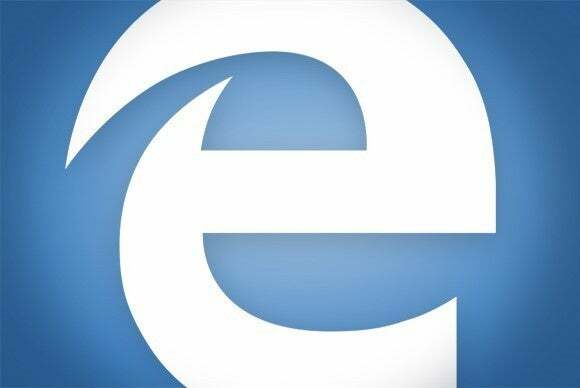 Microsoft has never said when to expect extension support for its Edge browser, but now we have a timeframe: 2016. As news begins to leak out about when the so-called ”Threshold 2” Fall Update to Windows 10 is expected, one component that won’t be included is support for Windows 10 Edge extensions. Microsoft said in a statement that that capability won’t be available until 2016. The news comes as no surprise, given that most of the new features expected in the fall update have or are being pushed out to users in the ongoing preview builds of Windows 10 that have continued past its official “release.” Build 10565 of Windows 10, for example, includes the Cortana text integration that is now in Windows 10 (for Mobile) build 10572 — making it pretty obvious that those messaging features will be part of the Threshold 2 update as well as the Windows 10 Mobile rollout in November. In May, however, Microsoft’s Edge developer conference in May didn’t exactly put a stake in the ground as to when extension support would be rolled out. And, oddly enough, the company’s Edge roadmap doesn’t seem to list extensions in its proposed feature list. 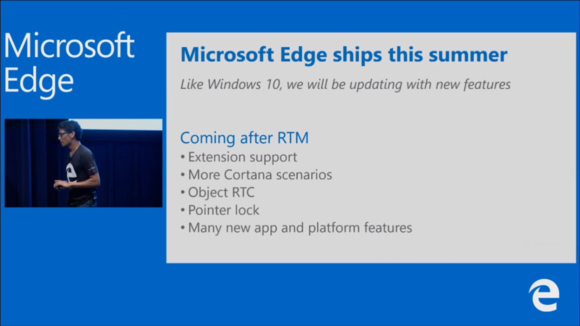 Microsoft’s Edge roadmap this past summer didn’t put a timeline on extension support. Microsoft isn’t the only browser developer working to secure its extensions. Beginning with the publicly available Firefox 41, which launched in September, Mozilla began blocking all unsigned extensions to stop ad injections and malicious scripts. However, extensions are one of the most popular ways of customizing a browser, and extension (or add-on) support has been built into Google Chrome, Opera, and Firefox. (Here are ten productive extensions for Chrome, for example.) That’s part of the reason we picked Chrome as our best browser of 2015. Why this matters: It’s perhaps telling that while Windows 10 has captured 6.6 percent of all PCs according to NetMarketShare, the same firm claims that only 2.4 percent of those PCs run Edge. One reason has to be support for extensions, which won’t be part of the browser as more people turn to Windows 10.